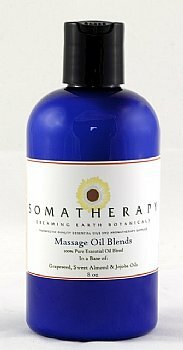 An exotic lotion blended with essential oils of: Clary Sage, Jasmine, Neroli, Rose Otto, Ho Wood, Sandalwood, Tangerine and Ylang Ylang. The aroma of this lotion is intoxicating! The four and eight ounce sizes come in a cobalt blue bottle and larger refill sizes come in translucent plastic bottles with flip top.